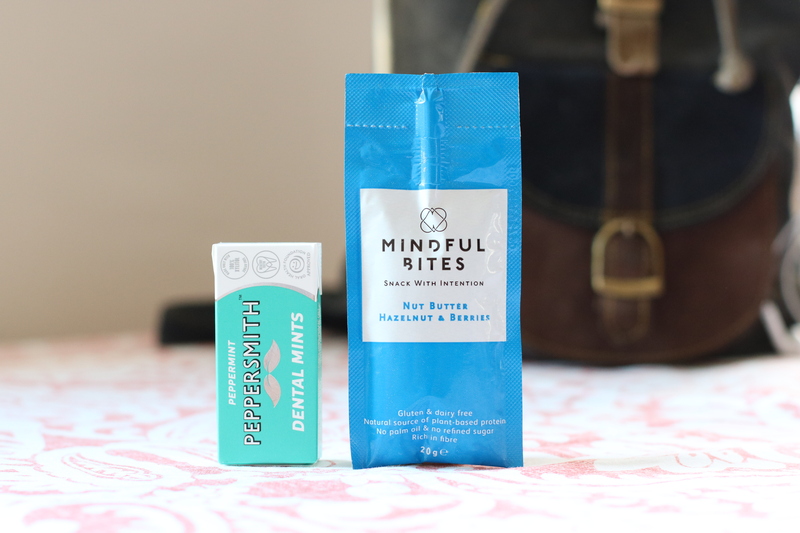 We know that finding low sugar snacks to keep you going throughout the day can be quite tricky, so we’re introducing you to Mindful Bites, the snacking brand who are on a mission to transform on-the-go grazing for good. They make deliciously smooth nut butters in mini sachets and larger jars, plus four different flavours of sugar free snack bites. We caught up with founder Stephanie who told us a little more about what inspired her to start the brand. Transforming people’s snacking habits is a pretty big task. What inspired you to take it on and start Mindful Bites? I was raised in a kitchen and have always enjoyed food for its power to shape human connections. Over the years, I have had the chance to look deep into food, the role it plays in our lives, the raising levels of obesity and metabolic disorders, together with growing concerns about how we are going to feed the world population in 30 years’ time. I studied the biochemistry of food but also the neuroscience behind food in an attempt to understand why we are attracted to certain foods and not others. My little experiment here was to create the sense of indulgence normally associate with fatty sugary food with something which was totally healthy and yet decadent and super tasty, whilst being mindful to the planet and how we use its already depleted resources; hopefully the magic formula has worked! What were you doing before you started up Mindful Bites? I worked in Investment Banking since graduation, covering various roles which required problem solving skills as well as sales skills. The experience was a very positive one for me, but at some point I felt that I needed a higher sense of purpose and focusing on the future of food, and the food of the future, mattered to me more. We’ve tired your delicious nut butters and love them, but plenty of people will find it hard to be swayed from their favourite brands. What makes your butters extra special? We have definitely entered a market which has seen exponential growth over the past few years, but at the same time it is market which is ready for some premiumisation. Our products are always blended with superfoods, as we like the novelty element they represent, as well as the taste and clear health benefits. We created a texture that is super velvety. Both the taste and texture have been carefully studied and created to encourage slow eating; thanks to the texture, the taste also stays in your mouth for longer. What’s Mindful Bite’s mission? Where do you see the brand in 10 years time? We are here to build a lifestyle brand of iconic snacks which speaks not to a tribe, but to a wider community of fellow humans. Our mission is to play a role in shaping the food of the future and have an impact on the future of food. Mindful Bites does not promote any strict categorisation in food which is healthy or unhealthy; for us, food can only be healthy if it protects our health as well as the health of the planet. Your on-the-go sachets are a great low sugar snacking idea. I’m sure our Peppersmith fans would love to try them. Where are they available to buy? We are available at Whole Foods Market, Selfridges and Revital nationwide, with more listings coming soon. We are also available online on our own web store, on NotOnTheHighStreet.com, Yumbles, Amazon and other platforms. The post A Q&A with the founder of Mindful Bites appeared first on Peppersmith.